“De Maria, nunquam satis!,” St Bernard of Clairvaux once said. Of Mary, never enough! In these last few days before the great feast of Christmas, perhaps you’re feeling harried or haven’t had time to prayerfully prepare, or just aren’t quite into the Christmas. Or perhaps you’re drowning in carols all day, but not feeling very contemplative or quiet. Or perhaps you’ve lost a loved one this year…If the depth and silence of the miracle of the incarnation still feels far away or cold, if your heart is heavy at the thought of the holidays, or you find yourself doubting your own Advent preparation for His coming, I extend to you a gentle invitation to turn to our Blessed Mother. Of Mary, never enough. 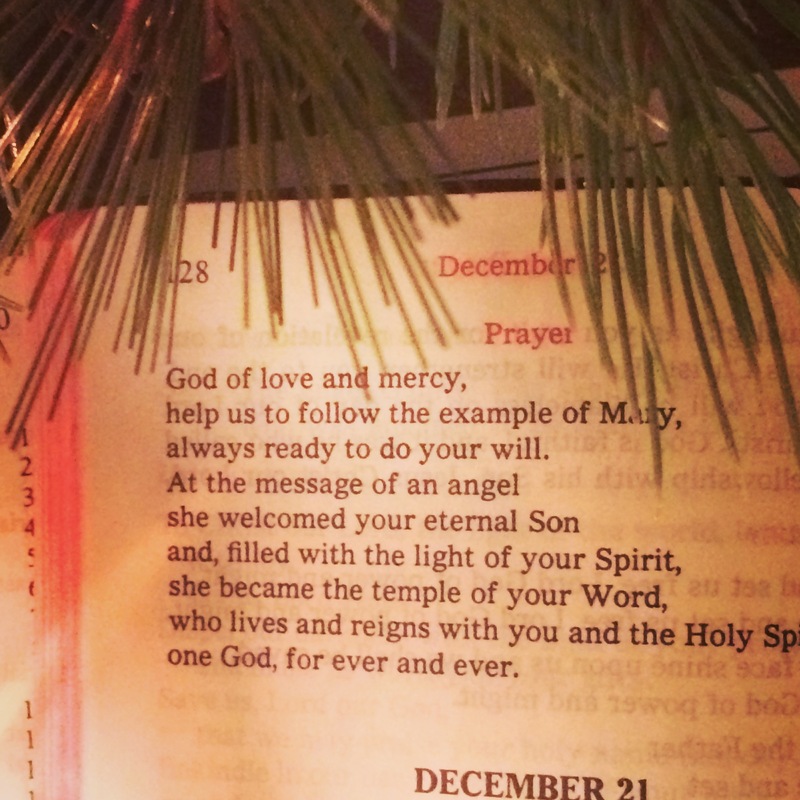 Advent is a season of Mary. She is the woman of silent waiting who longs for the coming of the Messiah and unwaveringly implores for her people. As she sings in the Magnificat, her role in God’s plan of salvation is not because she is worthy, but rather because God is merciful, and in her lowliness she said “yes.” Therefore, we never have to be afraid of giving too much attention to Mary, for the only thing in Mary’s heart is Christ, and her ever-lasting mission is to constantly bear her Son to the world anew in each and every human heart. 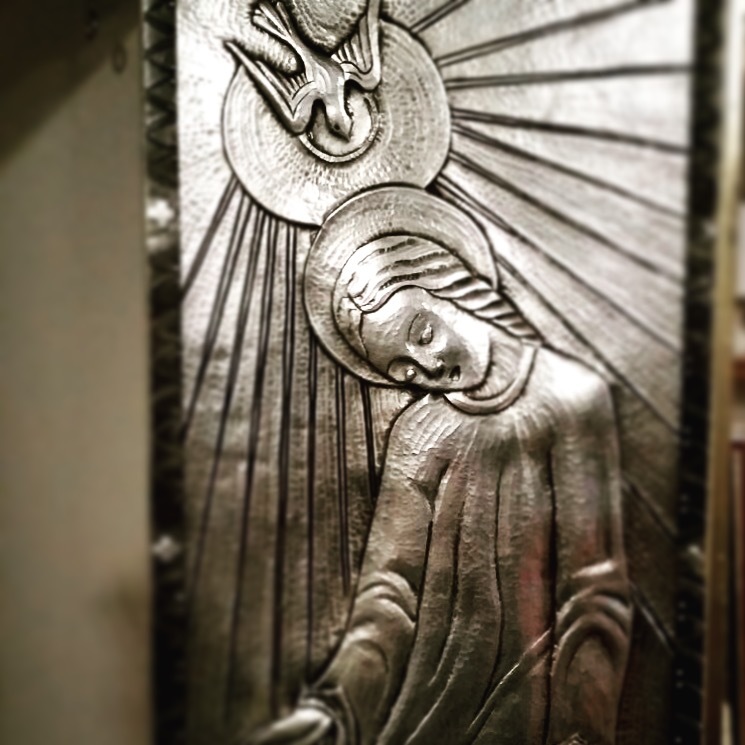 It’s hard to put words into the depth and silence that the Blessed Mother has wrought in my own prayer life. But I can tell you with conviction that it’s there for the taking. That if you ask, she won’t hold back. I’ve often heard it said that all the great saints always turned to her. But how real and near is she your own life? Not the porcelain doll, high on a shelf, too-fragile-to-touch false image of Mary that sometimes floats in Catholic circles…but the real, warm, vibrant and motherly person who wants a personal relationship with each of her children. I came across this beautiful closing prayer in night prayer a few days ago (see photo above, from the Liturgy of the Hours in Christian Prayer). Help us to follow the example of Mary! 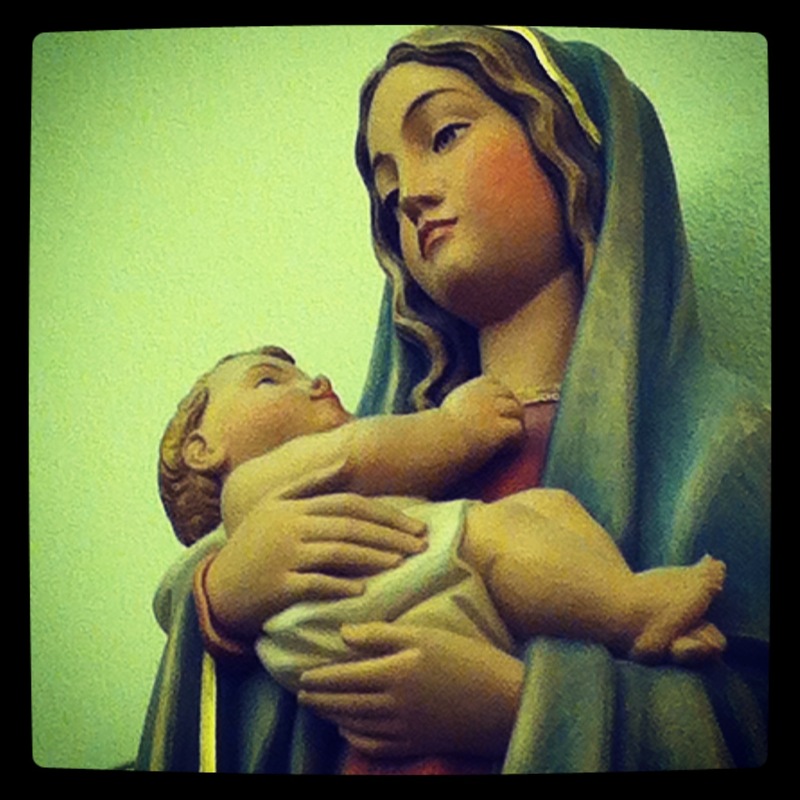 What is Mary’s example for us? She a woman of prayer, the woman who prayed the Magnificat, with the Christ Child leaping inside her! What are some small ways to pray in these next few days? It doesn’t have to be extravagant, and you’ve probably already got a couple unique ideas of your own! I’ve noticed that simply making sure to light the Advent candles each night makes a difference; it makes a holy space, an atmosphere of prayer that even little ones can immediately recognize and respond to. I’ve also noticed that simply turning off the radio (no news, no politics, no carols) for at least one car trip a day allows for my soul to settle in, and in the silence digest with God a few impressions from the day. If you’re able to gather your family for a short night prayer, even just that simple paragraph from above, it can make a space of breathing – like a great, slow inhale and exhale – for the soul. May you reach out and wrap the mantle of our Mother’s warmth about your shoulders this Christmas, may you drape it over your loved ones, and in your hearts and in His grace may it extend to the forgotten and the forlorn, the sorrowing and war-torn…over all the earth. She is always waiting for us to come to her, always waiting to bring us to her Son and to bear her Son in our hearts. A blessed Christmas to all of you, friends, and may the peace of Christ which passes all understanding rest in your hearts!